The magic of your wedding doesn’t have to begin and end with the ceremony itself. Of course there’s the reception, but why not complement your wedding day and make more memories with other events and activities? Tap into the knowledge and experience of the resort’s expert Catering Managers to take care of every detail, every moment, and every event of your dream wedding, and make this special time in your life truly remarkable. 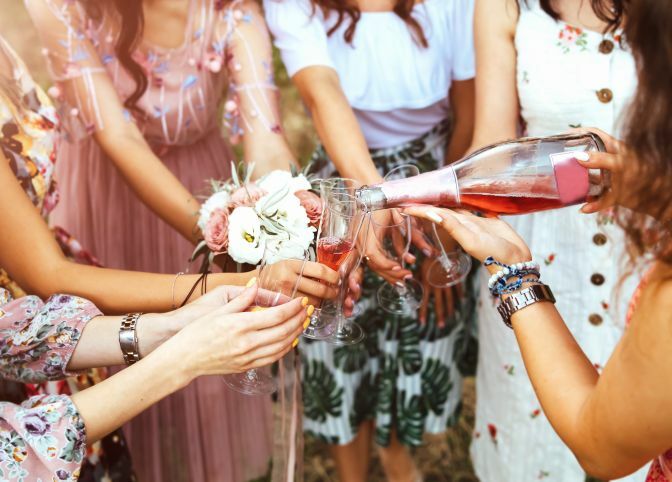 Share the news of your engagement with friends and family with a unique event at The Woodlands. The Resort’s wedding consultants will plan a celebration to remember. From an intimate gathering in an elegant private dining room to a fun-filled outdoor Texas BBQ, we’ve got a relaxed setting for you to introduce two sets of family and friends. Treat the bride-to-be to an elegant champagne brunch or an afternoon tea for the girls in one of the Resort’s private dining rooms. 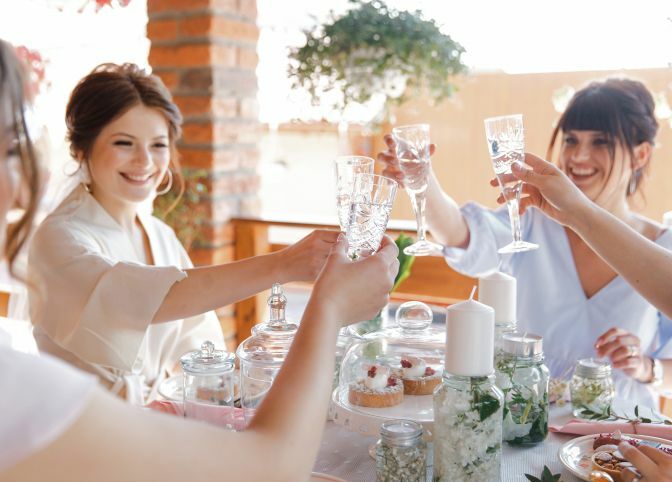 Show your bridesmaids how much you appreciate them by treating them to a special lunch in one of the Resort’s restaurants, private dining rooms or al fresco settings. Prepare and relax before the ceremony, show your appreciation to your girls for being part of your big day. Before the wedding, indulge in a special day of pampering at The Spa at The Woodlands Resort. The spa’s signature nature-inspired body treatments, facials, and pampering services for the hands and feet are indulgent and rejuvenating. Just what you need before all that celebrating. Meet and mingle at a relaxed and informal Waikiki luau or Tex-Mex fiesta. Or for something a little more formal, an unforgettable plated dinner at Robard’s Steakhouse or one of the Resort’s elegant private dining rooms can be crafted to your specifications complete with the finest catering, service and décor. We’re here to make sure your rehearsal dinner is just as memorable and one-of-a-kind as your wedding day celebration. Treat your guests to individual tee times or work with a tournament coordinator to create a special group outing for the groom and his attendants or the entire wedding party. The Woodlands Resort offers 36 holes of on-site golf on two championship courses, Panther Trail™ and The Oaks, each offering magnificent scenery and a little friendly competition. Bid a final good-bye to your guests and thank them for attending your wedding with a decadent farewell brunch. Enjoy a grand breakfast buffet in a relaxed atmosphere at The Woodlands Dining Room or an elegant champagne brunch with elaborate cuisine options. For added convenience, the hotel offers a variety of rooms and suites that can be reserved as a central meeting place for your guests during their stay. The Activity Hospitality Suite, for example comes complete with two TVs, a fireplace, a pool table, private bathroom, balcony and kitchen. At the Woodlands Resort you’ll find 402 deluxe guest rooms and suites, each one a well-appointed, thoughtfully designed retreat with desk or study area, LCD HD flat-screen TV, triple-sheeted bedding, luxurious bath amenities and inspiring views. Many open onto private patios or balconies that overlook the golf course, forest canopy, or Forest Oasis: Lazy River & Waterpark.